One man’s extraordinary encounters with God. God wants us to stay plugged into Him so that we can live a supernatural life of victory. We should expect this to be “normal” Christianity. This book is filled with stories of what the miraculous looks like in daily life—plus it gives key points to help you walk in the supernatural. 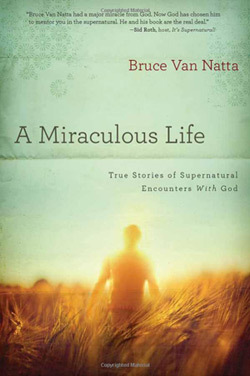 A Miraculous Life tells of the miracles that Bruce Van Natta has personally experienced, including when he received a hug from Jesus at age five, when God called his name in a church service at nineteen, and when he saw the angels sent to save his life during an out-of-body experience at the point of death. Each encounter is given as an example of the knowledge and insights he has learned within the context of Scripture. 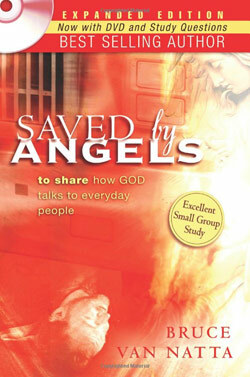 The book also includes other real-life testimonies that show how God’s supernatural power is released. You will be amazed to read of the miracles taking place today—blind eyes and deaf ears being opened, tumors vanishing, demons being cast out, and captives being set free from heartache, pain, depression, and fear. These faith-building stories and biblical references will help you live “supernaturally victorious” in every area of your life, regardless of the circumstances. 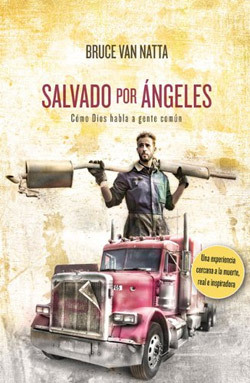 As the front axle of the massive logging truck fell onto the mechanic, crushing him against the concrete floor, angels appeared out of nowhere to miraculously save his life. He watched from above as God’s messengers stayed on either side of his mangled body as the emergency medical team worked. God is talking to you…are you listening? 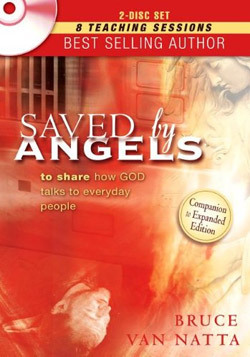 Saved by Angels DVD reveals how the Lord reaches out to all people in various ways, as proven through this deeply personal journey of an everyday man who overcame addiction and near-death through God’s supernatural intervention. You will see through spiritual eyes and a softened heart what your heavenly Father has done in your life to try to talk to you, touch you, and build a relationship with you. This knowledge inspires all people to deepen their relationship with the living God as they realize that God’s grace and mercy are not reserved only for those who have made all the right choices, can recite 100 Bible verses, or stand behind a pulpit—-God’s love is for everyday people, everyday! Compiled by Frank A. DeCenso, Jr. Yes, Lord, I hear You! 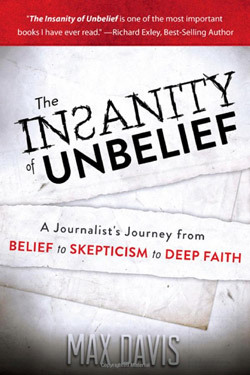 Powerful and compelling stories challenge you into a deeper understanding about how to truly communicate with God. A group of gifted and God-loving authors share their personal experiences on topics ranging from supernatural and out-of-body experiences in the third heaven to prophecy and discernment. 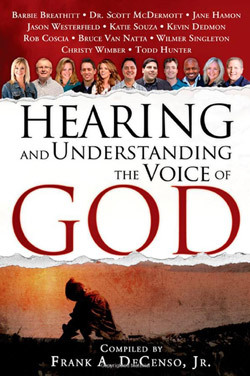 You will quickly realize through reading these thrilling stories that hearing God happens in many different ways and how you can tune in to Him yourself. You are invited to step out in faith and listen for God’s voice, and you too will have exciting stories to share about how you personally heard from God. Expect the supernatural! 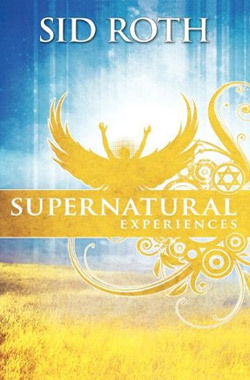 Are you expecting a supernatural encounter with God that will positively change your life? If not, maybe you should be! Can people today walk in the supernatural realm? Are miraculous encounters still possible in our day and age? Yes! And the evidence is overwhelming: supernatural experiences are just as real today as they were in the days of the first followers of the Messiah. Ten people from very different walks of life tell their real-life stories – their supernatural encounters with the living God that changed their lives completely. If it happened to them, it can happen to you! If you want to explore and understand supernatural experiences, you must approach them with knowledge and wisdom based on a solid foundation of truth. That Truth is found in the Word of God- “Knowledge begins with reverence for the Always-Present One. But foolish people hate wisdom and self-control” (Prov. 1:7 PEB). 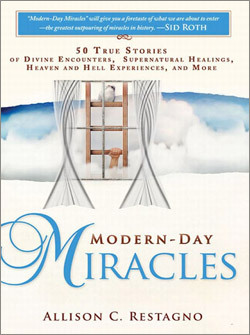 Real-life, firsthand stories of personal, modern-day miracles. Miracles still happen! Crushed under a 10,000-pound logging truck, Bruce Van Natta suddenly found himself floating above the scene of a horrific accident. There were angels present at the scene. Ron Pettey’s brain surgeons knew that their patient was in crisis. As doctors worked to bring Ron back, Ron was already experiencing the trip of a lifetime in Heaven. Surviving a jet crash but trapped in a burning inferno, Diana cried out, “Dear God, in Jesus’ name, please save me” over and over. Her life was in His hands. Hardened atheist and police constable Roger Whipp was faced with a life or death decision–pray to God for his wife’s healing or disconnect her life support. He chose to pray, and miracles followed. Working in a 110-bed mission hospital, Dr. James Rennie was faced with a terrible circumstance—watch his young patient die an immensely painful death, or pray for a miracle in his operating room. He prayed and visually watched the Lord answer prayer. Newborn baby Grace lay helplessly abandoned in an Ethiopian field with a noose tied tightly around her small neck. Would the wild animals hear her cry first, or would God? Encuentros extraordinarios de un hombre con Dios. Dios quiere que nos quedemos conectados a él, para que podamos vivir una vida sobrenatural en victoria. Esperamos que esto sea un cristianismo “normal”. Este libro está lleno de historias con aspectos milagrosas en la vida diaria, además de que ofrece puntos claves para ayudar a los lectores a caminar en lo sobrenatural. 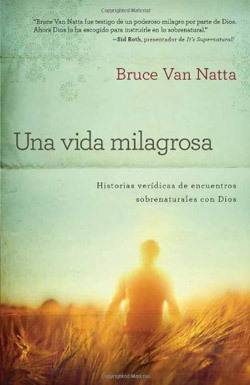 UNA VIDA MILAGROSA habla de los milagros que Bruce Van Natta ha experimentado personalmente, incluso cuando recibió un abrazo de Jesús a los 5 años, cuando Dios llamó su nombre en un servicio de la iglesia, y a los 19 años cuando vio a los ángeles enviados por Dios para salvar su vida durante una experiencia fuera del cuerpo en el momento de la muerte. Cada encuentro se da como un ejemplo de conocimientos e ideas que ha aprendido en el contexto de la Escritura. Many people believe in and practice praying to the Lord, but the Bible is very clear that the Lord also speaks back to us in various ways! This book goes into detail about the 7 different ways that God speaks to us as found in the Bible, and how that applies to our lives today. It reveals to us that these 7 areas are not just the different ways that God still speaks to us, but that when looked at as a whole they are a picture of what a healthy relationship with God involves. It further shows that this kind of intimate relationship is available to all believers and that this is exactly the kind of relationship that God desires to have with each of us. Throughout the book several Biblical and personal examples are used to validate each section. The reader is also given opportunities to see how God has already been talking to them in his/her own life, and then record these examples at the end of every chapter. Each person who reads this book is challenged to grow in his/her relationship with the Lord and is given many tools to help accomplish that. This is important because when a believer has an intimate relationship with the Lord they hear His voice more clearly. The Holy Spirit is then better able to guide and empower the believer to become victorious in their daily walk.